The first large parties of foot pilgrims, many walking from as far as Trincomalee, have reached Ampara district and are now approaching Kataragama for the 2nd July flag-hoisting. As many as ten thousand pilgrims are expected to reach Kataragama on foot by way of traditional jungle routes through Yala National Park from eastern districts. 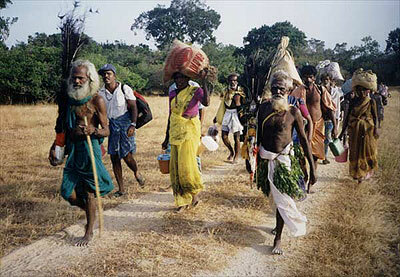 Pilgrims who vow to walk from Trincomalee must start forty days before the Kataragama Esala festival begins. Their numbers include not only Tamil Hindus, but also Tamil-speaking Veddas, Sinhala Buddhists, Christians, Muslims and foreign pilgrims from Europe and America as well.  The pilgrims typically undertake simple vows of self-denial during the Kataragama season in return for the God's assistance in solving their personal problems. They commonly go barefoot the entire distance under scorching sun and along battered roads through remote districts. Despite its hardships, traditional pilgrimage continues to grow in popularity in eastern districts, especially among the common Tamil villagers. This year security forces anticipate that around ten thousand foot pilgrims will cross Yala National Park before the festival ends on 17 July. The final 100 kilometres of the 400-kilometre walk from Trincomalee takes the pilgrims through the uninhabited jungle of Yala sanctuary. So dangerous was the trek in earlier days that few villagers would undertake it without first receiving a 'call' from Kataragama. Even today the trek involves some hazards as well as hardships. Sleeping under the stars at night and depending upon the generosity of local villagers for their sustenance, they learn to trust in the Kataragama God's mysterious ways. All along the route the pilgrims receive dana or food offerings both from Tamil and Sinhala villagers and also occasionally from the security forces as well. The pilgrims pay respects to local deities at such famous shrines as Tiru Koneswaram, Verugal, Sitthandi, Mamangam, Thanthamalai, Mandur, Tirukkovil and Okanda on their long southward trek to the Kataragama shrine. For young and old pilgrims alike the Kataragama Pada Yatra is the opportunity of a lifetime to visit all these renowned shrines in a single season. According to a spokesman for the Kataragama Devotees Trust, for centuries the Kataragama Pada Yatra tradition has been one of the great unifying factors in Sri Lankan society. 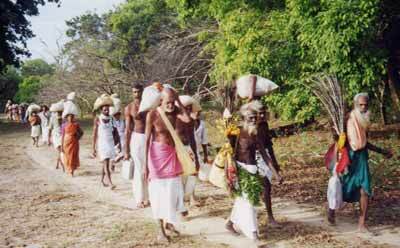 The pilgrims used to walk from as far as Jaffna district and even from India and central Asia. Even today the tradition's unifying effect is noticeable. After the communal riots of July 1983 the tradition fell into abeyance and nearly died out until the Kataragama Devotees Trust revived it in 1988. Now once again the pilgrims' spirited shouts of 'Haro Hara' (Hallelujah) can be heard up and down the entire East Coast during the Kataragama season.